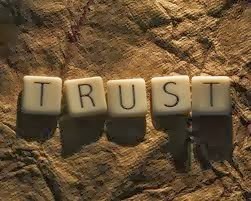 To Trust or Not to Trust, That is the Question? Will You Follow Peace? Proverbs 3:5-7 Trust in the Lord with all your heart, lean not on your own understanding; in all your ways acknowledge Him and He will make your paths straight. Have you ever found yourself in a position where the rubber meets the road? - which can mean when something happens to make a situation volatile. These past two weeks, I haven't blogged primarily because I've been facing a volatile situation in my ability to trust God. Challenges, issues and problems are an understatement. Are these circumstances doing a work in me/us? Is that what this is about? mainly - knowing where we are moving to exactly? renting a truck (2 - 26 foot, plus additional trips), A professional mover told us it would take a minimum of 2 days and a semi truck to move us! reserving a truck but can't do that not knowing how we can pay for it. we still have quite a bit to pack, seems never ending! If you ever have moved before, you know what's involved especially if the move isn't local! It takes much coordination. The stress, the lack of trust not knowing has been the hardest thing I've ever dealt with. The toll that my body is paying is high. I haven't slept more than 2 hours a night for the past 3 weeks. Pain levels and exhaustion are over the top. My mind won't shut off asking questions, praying and trying to find solutions. My adrenals are so taxed that I am experiencing much more fear and anxiety then ever before. I know in my head God will take care of us, but my heart hasn't quite caught up. Calgon take me away! HA! This past week, however, God in His great mercy..... connected us to a place in Excelsior Springs, MO that would be a great temporary place (not ideal location as an hour north of here - and farther from our ultimate destination). The owner is willing to wait on a check until we close, no deposit, ok with our dogs, big enough to store our furniture in basement. He will leave furnished so only having to unpack kitchen, clothes and toiletries. And we can stay 1 week, 2 months or however long until the place is sold. Whew! What a blessing God put before us! On Christmas Eve, a guy facebooked me and said he was a youth pastor at a church in Eldorado Springs, MO and got my name and is related to a past client of mine from 10+ years ago who has been following my blog. He offered to help us find a place there by putting a post on his Facebook page and in less than 24 hours we had 3 people respond with rentals available. We haven't seen them yet, so don't know if they will work, but at least now doors seem to be opening. We go soon. Thank YOU Lord for Your grace! These things are bringing me a degree of peace, however, I still don't have peace about a double move. This season God has been teaching me/us more about following His voice through peace and a newer level in the Spirit and less by hearing His still small voice. In my quiet time a couple days ago, I asked the Lord, so why don't I have peace over renting a temporary place and going through a double move, other than the obvious reasons? What He told me was good. He took me back to a time in my earlier walk where I had more childlike faith. I questioned things I didn't understand, but I didn't doubt. There was a specific thing He reminded me of, too long to explain, but it brought me more peace. He doesn't want me to fear the unknown. Now of course, back then, the stakes weren't as high, the unknown wasn't as scary and it didn't feel out of "my" control. Aahhhh..... revelation! The rubber meets the road! Our situation is volatile to say the least, challenges, problems and issues are very real......but the coolest part is that God is doing a real work in me and in my heart. To Trust or Not to Trust? That is the Question? Will You Follow Peace? This morning as I was praying and asking questions, the Lord spoke to me - "you can trust Me. Don't lean on your understanding, acknowledge Me, know that I will take care of you, I have a path that I am leading you on. Return to simple childlike faith. Remember, this is a season of blessings and promotion. I'm doing a new thing. I will make a way. I am a God of abundance. I love you, My Beloved daughter". These hard circumstances, though still in the midst, are showing me that God really is trustworthy (all the time). If He says He will do it, He will. He meets you right where you are at and is relentless to show you how to follow His peace! We are continuously being asked why are you moving there? Why are you moving here? What will you be doing? Do you have work? Will you be doing ministry? Our answer is simple. We don't know yet, but God does! We know that we have peace as we enter the town. We know the anointing to minister is with us as the Lord puts someone before us to pray for each time. We have prayed for a lady who's had ankle pain for years. The Lord healed her. The next week, the same lady asked for prayer on her knee, the Lord healed her. The next week, the Lord had us pray for a man who was 80 and had back issues and left the church & God years ago. Guess what? Yep, God healed his back completely and the man is back in church! We know what the Lord has been showing us for the past four years lines up with those we have connected to there. It seems this will be the location for the next steps of our destiny God has for us. We know we are to follow peace! The enemy cannot give you peace...only God can! 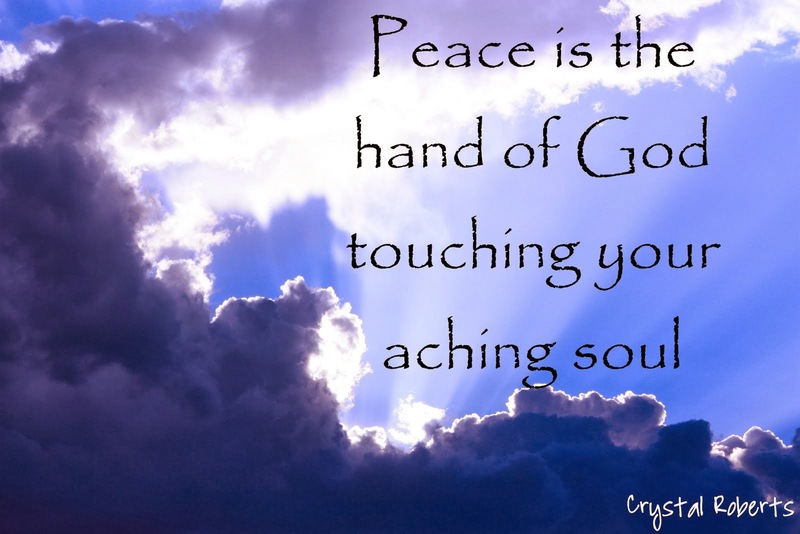 No matter what you are facing, challenges that are overwhelming, volatile situations - follow peace! Psalm 28:7 The Lord is my strength and my shield; my heart trusts in Him, and I am helped. My heart leaps for joy and I will gave thanks to Him in a song! We sold a couple things but are selling tons more of things to raise funds quickly: weight systems, leather loveseat, health rider, stereo system, 5 piece blue couch set includes matching coffee table, commercial copier, fax, scanner, printer - all in one, custom oak desk & chair, queen soft side water bed, headboard & dresser, dining room table with 8 chairs & matching hutch and much more. If you need anything or know of someone who may, please email us at michele@wantinsight.com.